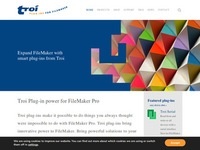 Troi makes Filemaker Pro plug-ins. I have no personal experience of them but they are very business minded. Very good FTP client but I get some "Windows-Explorer" feeling. 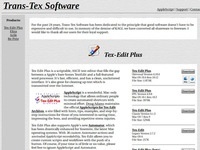 Fast and very useful text editor which is completely scriptpable by AppleScript. 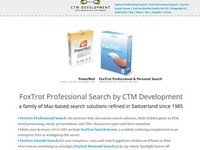 This link page is made with Tex-Edit and AppleScript, see at the bottom. The utility is indispensable for writing abbreviations in text. 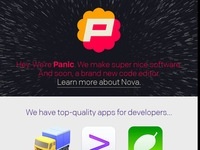 The product has been around for "ever" and is very stable. A classic! This utility is one of my absolute favorites. Download immediatly and start to use! Utility for finding odd characters like "æ"_ and "ü". Both Windows and Macintosh. Very nice accessory for Mail.app adds connection to iCal and all sorts of tags. A source of deep knowledge about the database Filemaker Pro. Please note that this forum costs a couple of dollars per year, not much though if you are a professional. FTP client which has been around for decades. A pcb cad software that runs on the Macintosh platform. The software is from the 80's and it's still available. 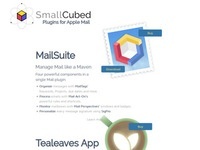 This is a really nice GTD (Get Things Done) software for both Macintosh and iPhone. 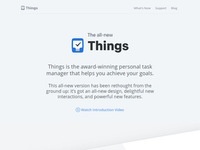 Things is the award-winning personal task manager that helps you achieve your goals.